Hey guys, there are so many giveaways, I hope that you take the time to enter them all! There are some awesome products to be won!! 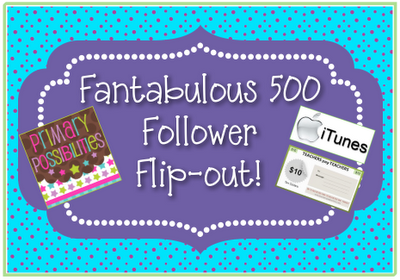 My friends at Primary Possibilities are having an awesome 500 follower giveaway!! 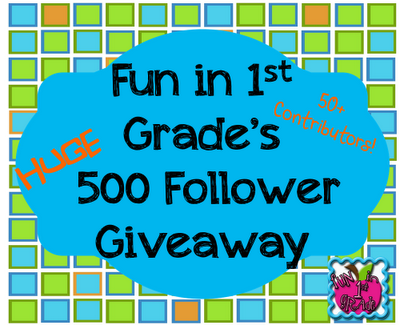 Also, Fun in 1st Grade is having a 500 follower giveaway!! Click on the pictures for more info!! We have been working on a lot of things, and I realized that I haven't been taking pictures like I should. I promise, I promise, I'm going to get better! I feel like I've been in a wormhole this year, and I'm still trying to get my bearings!!! Anywho, we've been working on creative writing, and one thing that I push a lot in my room is labeling. 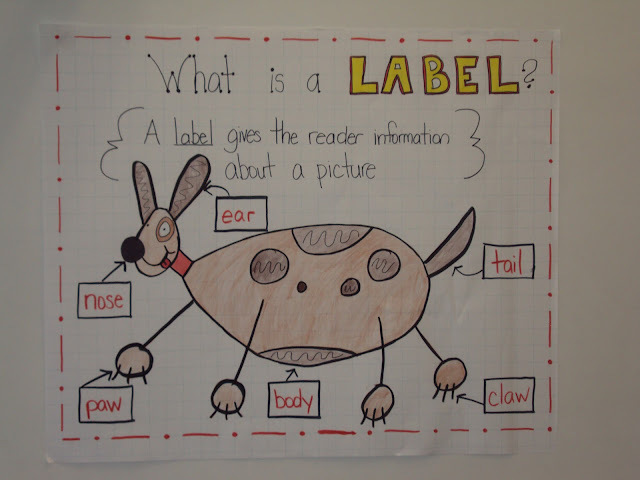 So, I re-created my anchor chart from last year (I think I will have it laminated this year!! ), and I got the idea from Babbling Abby over at The Inspired Apple. I think I saw it on Pinterest first. it was easy for them to connect the dots! We also practiced labeling together. Once again from Babbling Abby, as seen on Pinterest! I have this awesome sheet from my friend Jennifer at First Grade Blue Skies. FYI, her labeling packs are AWESOME!!!!! Also, at my school, we are required to have a substitute folder, in case there is an emergency, and we aren't able to come to school. This usually includes our class rolls, classroom routines and procedures, yadda, yadda, yadda. 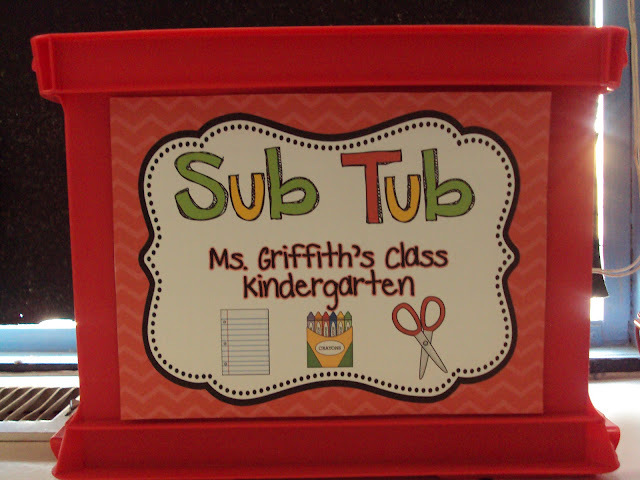 Well, I know you've seen all of those cute sub tubs all over Pinterest. Soooo.......I just had to make one as well!! 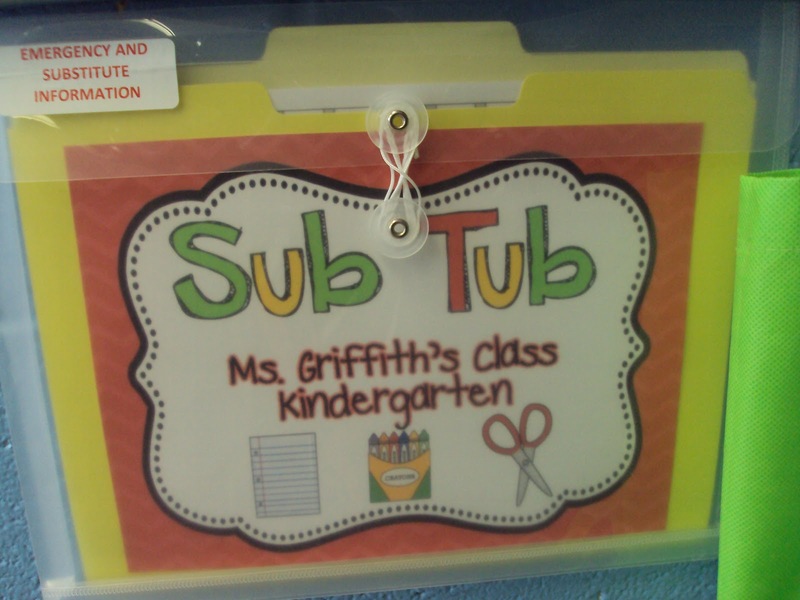 I still have my sub folder, but I also left a note inside for them to look for the sub tub on the counter. The folder is on the wall by the door. And my sub tub is on the counter behind my desk. I'm so excited that October is almost here, I love the units that are coming up!!!!!! Sigh, I just love the fall!!! is having a great giveaway this week!! As a matter of fact, she is having 5 days of giveaways! Click on her button to check it out. You never know, you could be a winner! Also, I finally finished my October Morning Work Pack for Kindergarten!! Yippeeeeee!!!!!!! I promise, I promise, I'll be back with more class pics tomorrow!!!!! everyone knows about Sesame Street. I was so excited when I discovered this, that I had to share! Of course, they also have games that children can play, and playlists that show videos of specific characters. My favorite thing to do is to go to the search box at the top of the page, and voila! An entire list of videos comes up. As you can see below, I searched for the letter 't' and there are 1010 results!! I can't wait to use this in my classroom!!! I still can't believe that I didn't know about this! 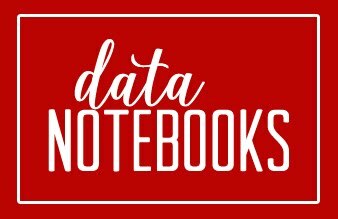 Writer's Workshop: Journals or Folders? Hey, hey everyone! How's it going? I needed the most improvement. The first few days, I just gave a simple mini-lesson, and then they wrote. Our writing music is a nice jazz instrumental album, and they absolutely love it. Any of my co-workers can tell you that I am the music queen, we listen to it all day long! Anyways, I just gave them some paper from some extra writing journals that I have. One difference this year is that I modeled a lot more, and before they could leave the mat they had to tell me what they were going to write about. It's amazing how that one simple step gave them a purpose for writing, and they were so engaged that I was just looking on in awe. One student told me that he decided that he was going to write about his hand. I thought that was an interesting choice! I was just glad that this was his focus, and he did it! Sorry, I forgot to take a pic of his writing on the other side. 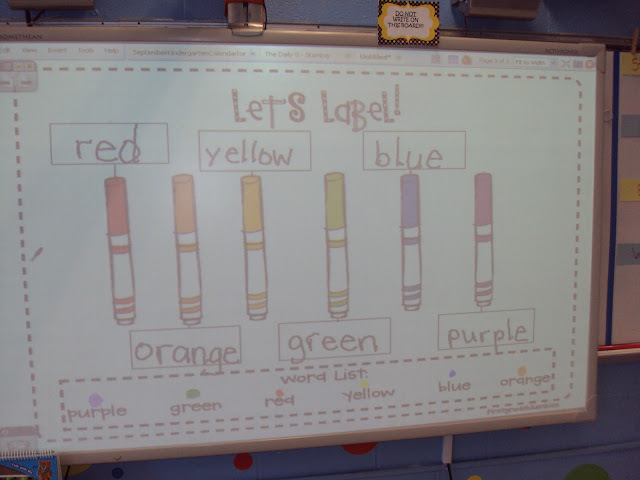 Here are a few more writing samples from the first few days. On the inside of the folder, one side is labeled I'm done, the other is labeled Keep Going! So, this is the beginning of my creative writing journey, and I'm so excited about it, it's getting a bit ridiculous! How do you conduct writer's workshop? Hey guys, I know, I know, I've been missing in blog world lately!! Anywho, here's a peek at what we've been doing! This week we learned about September 11th, and Constitution Day. Thankfully, several great bloggers offered free learning items on 9/11, and I was surprised at how well my kiddos paid attention. We read the book Fireboat, by Maira Kalman. and as we looked at pictures of that day. Most of them chose to draw a picture of the twin towers to commemorate that day. For Constitution Day, we read the book We the Kids by David Catrow. We talked about how the Constitution was like a set of rules to keep everyone safe, and to make sure that everyone was happy! So, we decided to create our own class constitution, and then we all signed it. We also made sure that we put our school rules, and some of the 7 habits of happy kids in there as well!! I saw the original idea on Pinterest. Hey guys!! Have your days been as busy as mine have? I'm sure, of course! Ok, it's time for Oodles of Tech Tips Tuesday!!!!! Today I wanted to show you the TalkTyper website. I shared this with my school yesterday, and I want to share it with everyone else as well. TalkTyper is an awesome web 2.0 tool that allows you to dictate what is said via computer. It is great for special needs kids, and also for students to learn more abotu speaking clearly, and it can also be used for fluency. You can not use it in Internet Explorer, nor RockMelt, but it will open in Google Chrome. If you try to open it in a browser that it does not accept, it will let you know. I feel like I've been stuck in a perpetual wormhole, where we are repeating days over and over again, with no end in sight! Aaaaiiiiieeeee!!! I can't wait until we get past this stage, although I know how important it is. I made a promise to myself that I would model, model, model & model some more, until I feel as if I can't model anymore!! Then I will continue to model anyway! 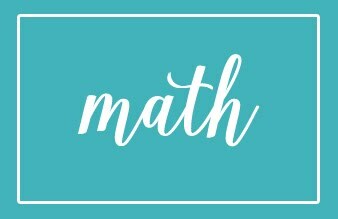 I think that it is so important that we remember that, because when we have so many requirements piled on top of us, it can be easy to just move onto a form of independence for students. ........And then..............things fall a part!!!! So, for that very reason, I'm going to model, model, and then model some more!!!!!!!!!!!!!! Ok, besides that, we have participated in some actual learning! 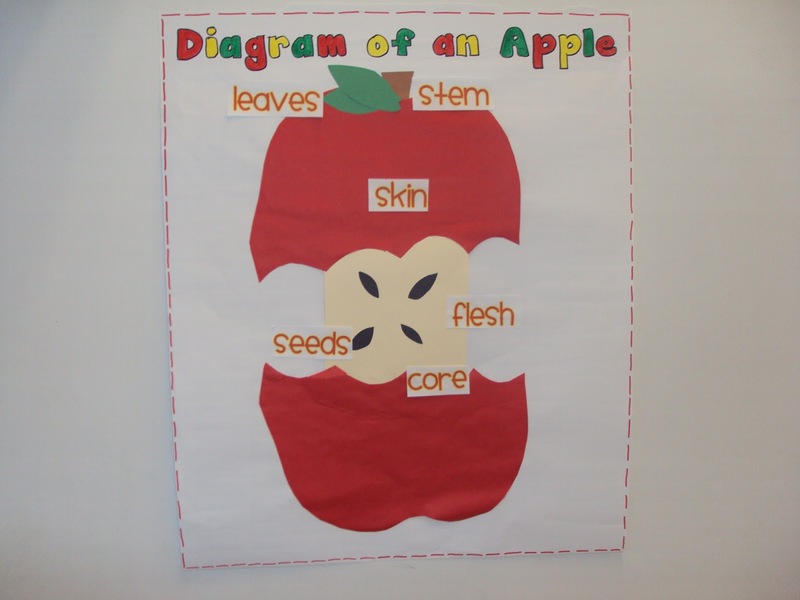 Here is a quick photo dump of things that we have been working on in Kindergarten! You have no idea how this has made my life so much easier! Whoever posted this on Pinterest has my gratitude! I finally started The Daily Five! Whoo-hoo!! We are working on building our stamina for Read to Self. We can read to ourselves quietly for a minute! The following pictures document our Daily Five journey. 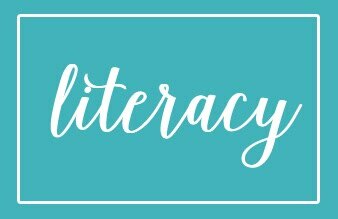 We will discuss the 3rd way to read a book this week! Student behaviors during read to self. Yes, we're going EXTREMELY slow on this part! My school is focusing on being a bucket filler school, and this is what I got from our lovely counselors on Friday! My very own bucket and they filled it with great things!! Needless to say, they filled my bucket!!! So, how has your days as an educator been? September Currently & A Freebie!! Hey guys, I hope everyone is enjoying their Labor Day!! I've linked up with Farley at Oh Boy 4th Grade for September's Currently. Check it out! so I did that to make it a little easier.